During the short period of time available, much needed to be done. However, thanks to the support and daily hard work of our volunteers the scheduled work could be completed without major difficulties. First, walls were plastered and the floor evened out. 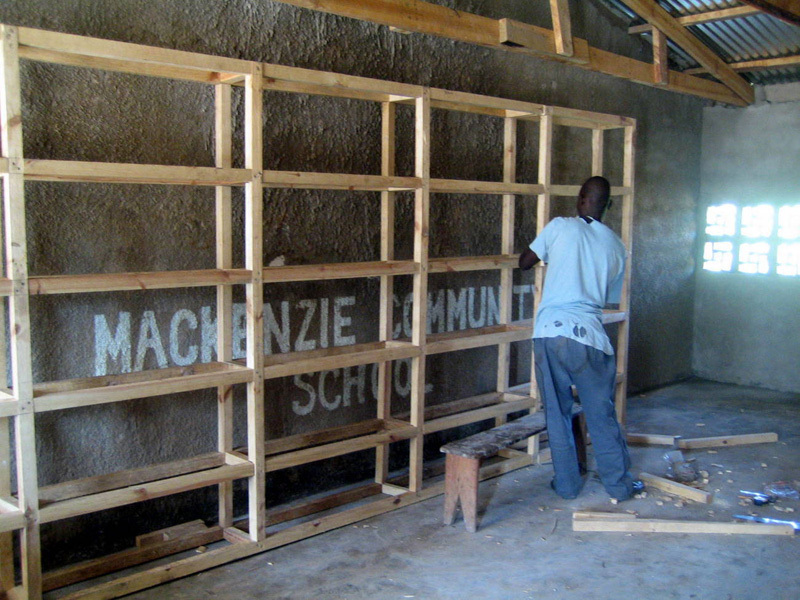 Then, pews for the new classroom as well as bookshelves for the library were assembled. This all was accomplished by means of manual labor only; no power tools nor electricity were available. In particular one of our volunteer's training and expertise as a skilled carpenter proved invaluable. In order to get the new classroom ready, we also installed windows as well as a wallboard and purchased a lockable door. 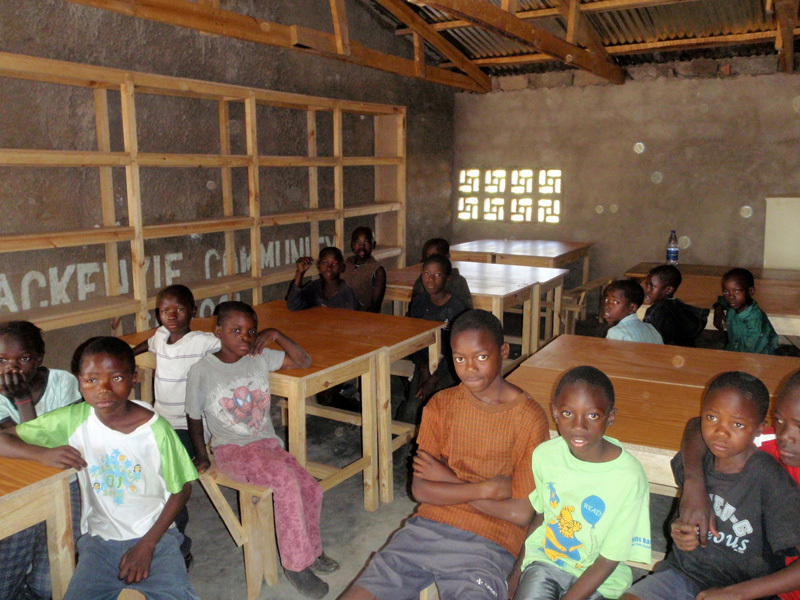 Thanks to all your generous support the new classroom is now completely finished and the school can thus expand its services. The people of Mackenzie as well as all of us at iChange want to say thank you for all your donations which helped to make this happen.